Are you The Ritualist? The Catchphaser? The Last Caller? With a cold Belgian Moon in our hand it's hard not to let your 'happy hour' personality shine through. 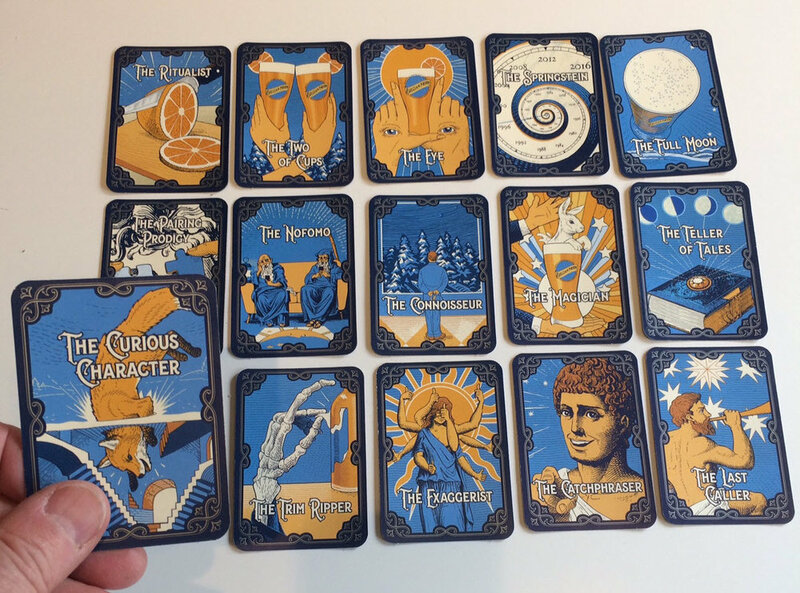 Available at some great events around town this summer, illustrator Carl Wiens teamed up with Central Station and Belgian Moon to create a fun collection of tarot-inspired cards that speak to the beer-drinking personas in each of us. Using a style reminiscent of original scratchboard cards, Carl worked digitally to illustrate each brilliantly crafted character. We all know who the Teller of Tales is in the group, am I right? Belgian Moon's Tarot Cards. Collect them all this summer. View more of Carl Wiens' illustration. Represented by i2i Art Inc.